Price of ACER Swift-3 (SF314-51) (NX.GKBSI.010) Laptop (Intel Core i3-6006U/4 GB DDR4 SDRAM/128GB SSD/14 inch/Linux/Intel HD Graphics 520) in the above table is in Indian Rupee. 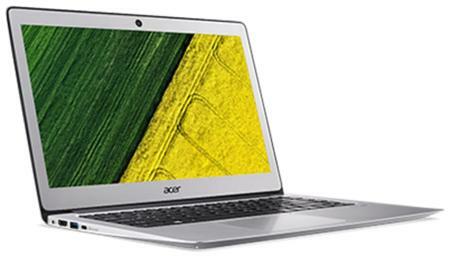 The ACER Swift-3 (SF314-51) (NX.GKBSI.010) Laptop (Intel Core i3-6006U/4 GB DDR4 SDRAM/128GB SSD/14 inch/Linux/Intel HD Graphics 520) is available in Paytm. ACER Swift-3 (SF314-51) (NX.GKBSI.010) Laptop (Intel Core i3-6006U/4 GB DDR4 SDRAM/128GB SSD/14 inch/Linux/Intel HD Graphics 520) prices varies regularly. Please keep on checking our site to find out the latest prices of ACER Swift-3 (SF314-51) (NX.GKBSI.010) Laptop (Intel Core i3-6006U/4 GB DDR4 SDRAM/128GB SSD/14 inch/Linux/Intel HD Graphics 520).